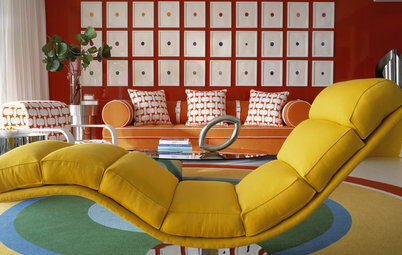 After a season dominated by neutrals, color lovers are now embracing this year’s bold brights with open arms. 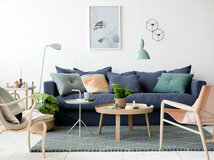 It can be pretty affordable to update your wardrobe with a few pieces of neon, but it’s not always so easy with interiors, where changes tend to be more permanent and costly. 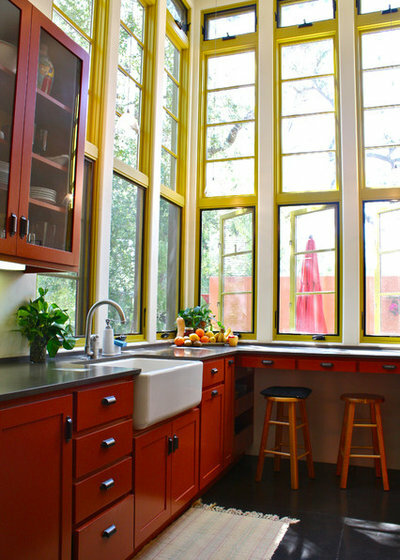 Small doses, clever applications and limited painted accents make it easy to introduce the bold trend to your home without overspending or signing on for a decade of neon design. 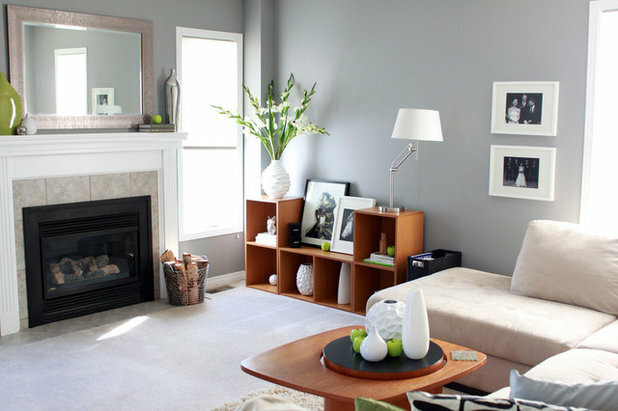 Paint is your best friend when it comes to color trends. 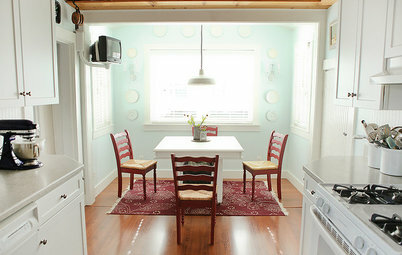 It’s cheap and easy, and the creative options are endless. 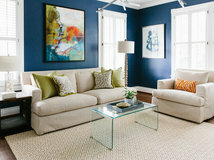 Look around your space and see what little nooks and crannies could benefit from a bold color makeover. Bookshelves are a great place to start. 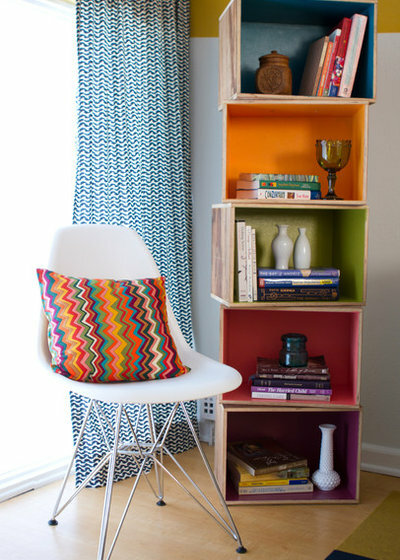 Paint the insides of your shelves in one or more bright colors, then watch your room take on an entirely new personality with little effort or cost. 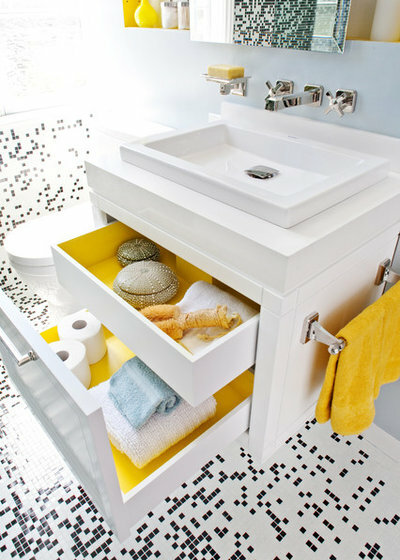 Paint the interior of your bathroom, kitchen or dresser drawers for a surprise whenever they’re opened. 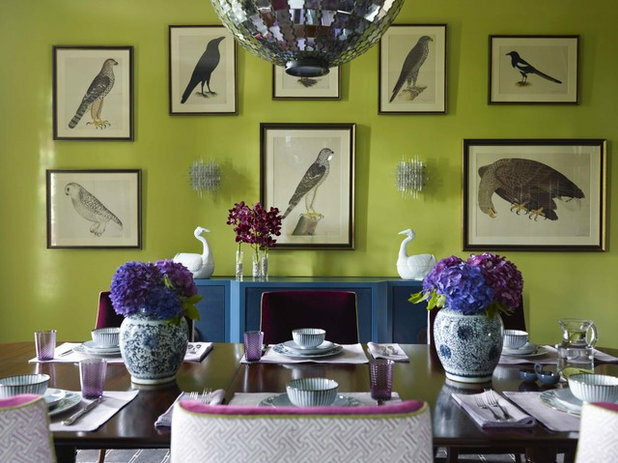 If you don't want to deal with paint, look for contact paper in bold shades. 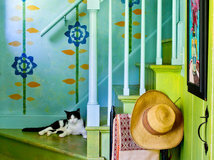 Functional hardware such as a stairway handrail becomes a lively accessory with a fresh coat of paint. 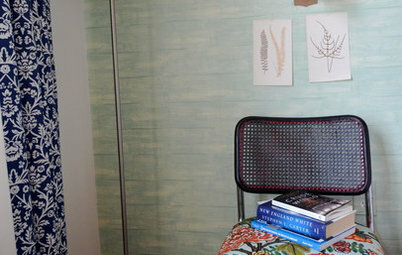 You can probably paint a handrail in an hour and have a fun new look before lunch. 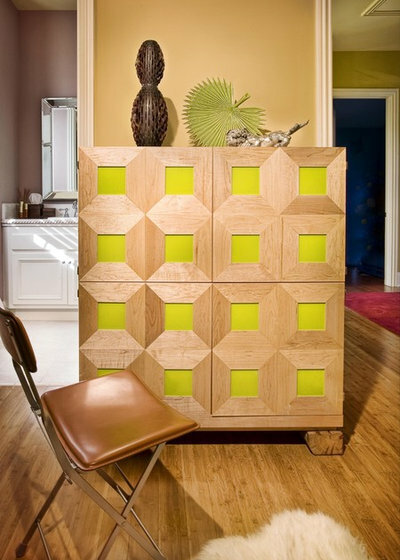 If you’re wary about painting an entire piece of furniture neon, highlight it with hints of color. 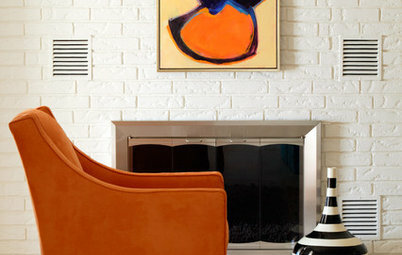 Emphasize built-in details with carefully painted accents. 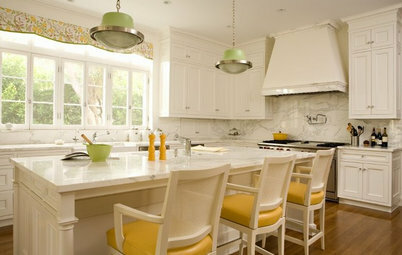 Give neutral upholstery a dose of neon in your piping. This is definitely a more permanent application, but the color feels classic in such a small quantity. 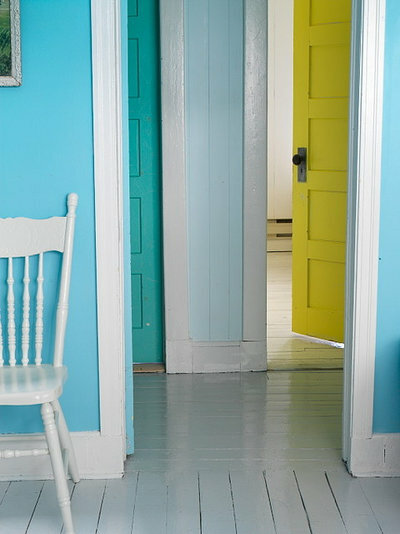 If you want to use bright color in slightly larger applications, consider painting the walls a toned-down shade and your doors in a bright hue. 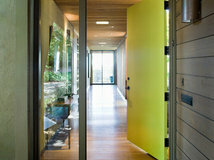 This look is irresistibly fun, and when the trend dies, all you’ll need to repaint are the doors. 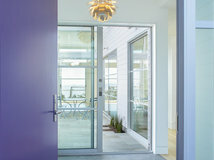 Here’s another unique place to play with neon: the doorframe. It’s unexpected, bold and easy to change down the road. 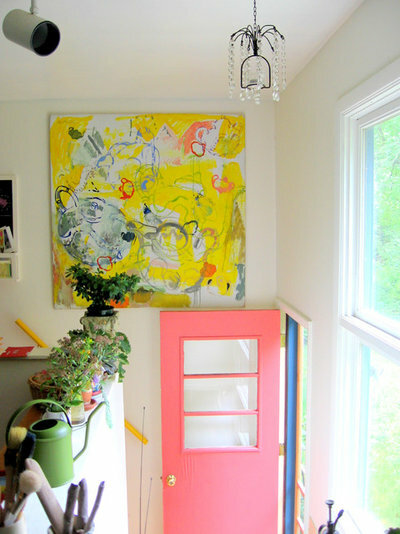 If you are really itching to play with neon on all four walls, experiment in a smaller, less commonly used space instead of your living room or bedroom. 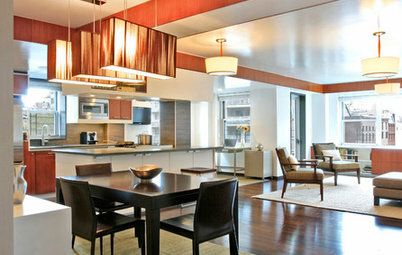 Not only will it be cheaper, but you’ll get a taste of the trend without going overboard in a main living space. 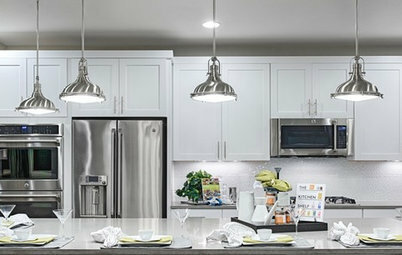 Accent your neons with white so they feel fresh and sophisticated. 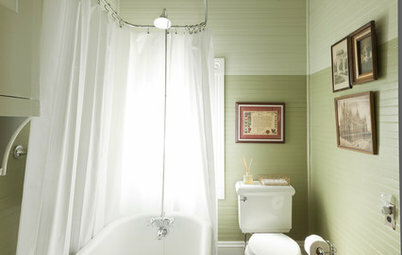 This wall application is made from a series of bright paint chips. 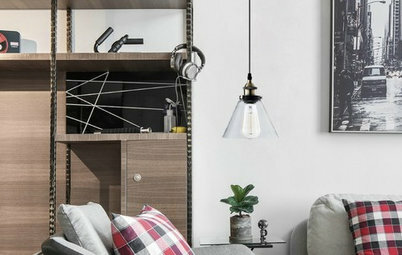 Hardware makes it easy to play with trends. 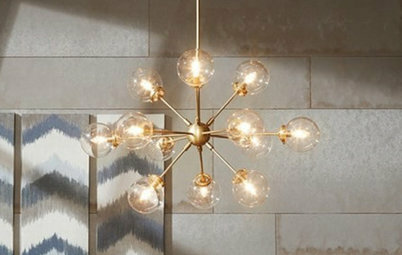 New fixtures can lend an entirely new look to a space, but they're easy to swap out when the next fad comes in. 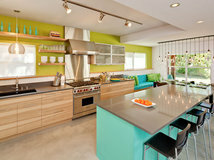 Accessorizing with nature’s bounty might be the cheapest and most temporary ways to test out bright colors. 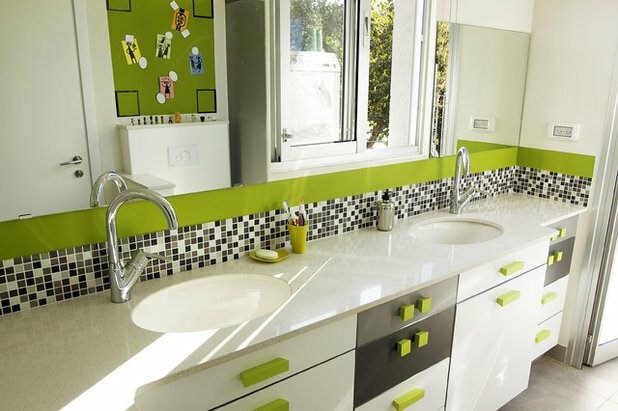 Apples placed around this space fill it with just the right bright green accents. 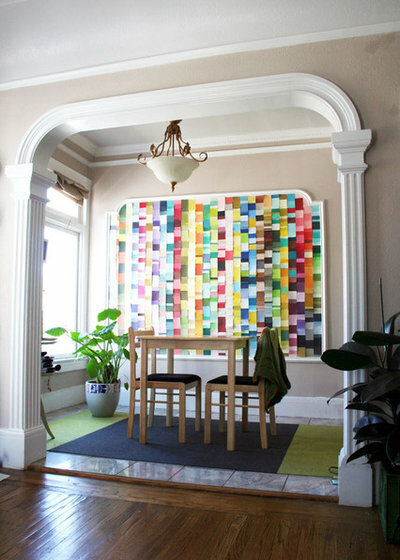 Love the paint chip wall art! Very clever. 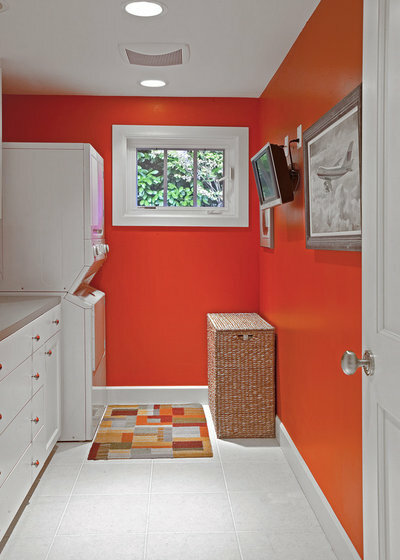 Love the orange laundry room. 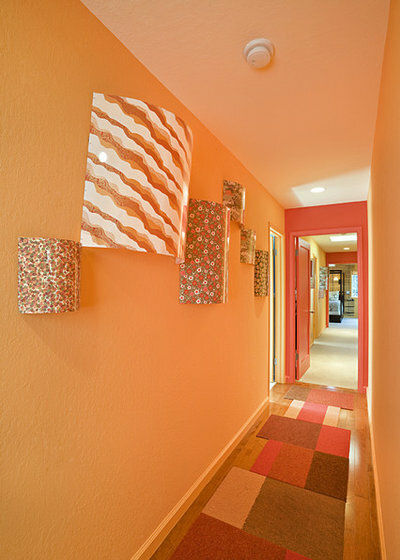 Our laundry has been painted orange with white accents. BUT I don't have the rug to complete the room. HELP me please with a source for this accessory. Please reply back to lilpottsie@aol.com.